I love traveling. I don't love spending money, as described in my recent post, We Aren't Home. 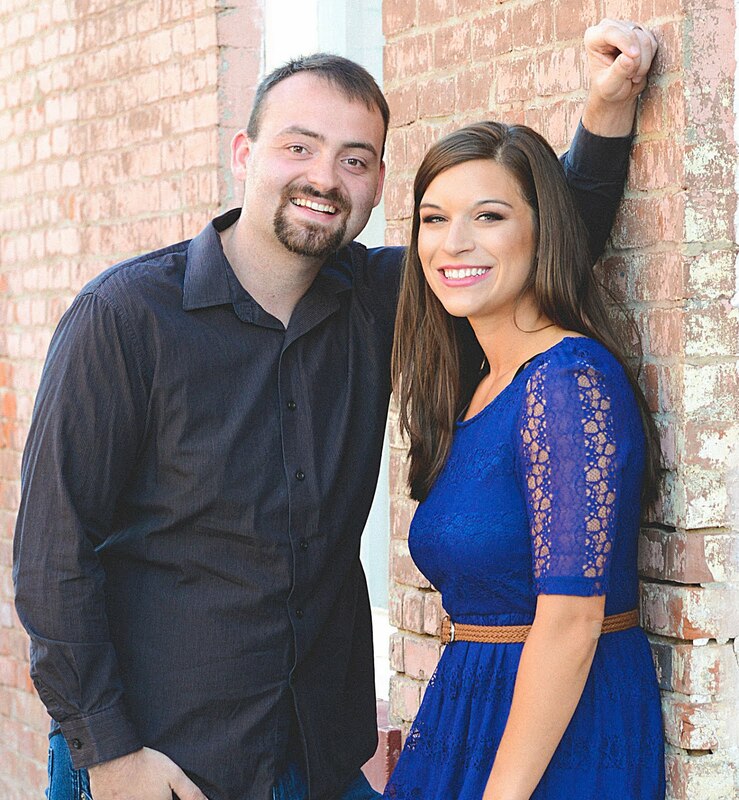 When Aaron and I first got married, we decided one thing we would do during our "DINK" (dual-income, no kids) years was to travel like crazy. Granted, we're both teachers, so our "dual" income may not even add up to your single income. But I digress. Being a rather thrifty person, I figured we would budget and just save up for trips. And we do, to some extent. But thanks to the help of a couple of dear friends who had been traveling in this way for a few years, we've hit the jackpot by making points work for us. One of the best ways to use points in loyalty programs is to get the company's credit card. Many offer instant spending bonuses that can be worth their weight in gold, or groceries, or bills, or whatever you spend your money on to earn them. With the cards that we have, we literally just pay off our bills and end up getting all sorts of free perks like hotel rooms, flights, VIP treatment, and more. You just have to make sure that you're choosing the best cards for your travel goals. 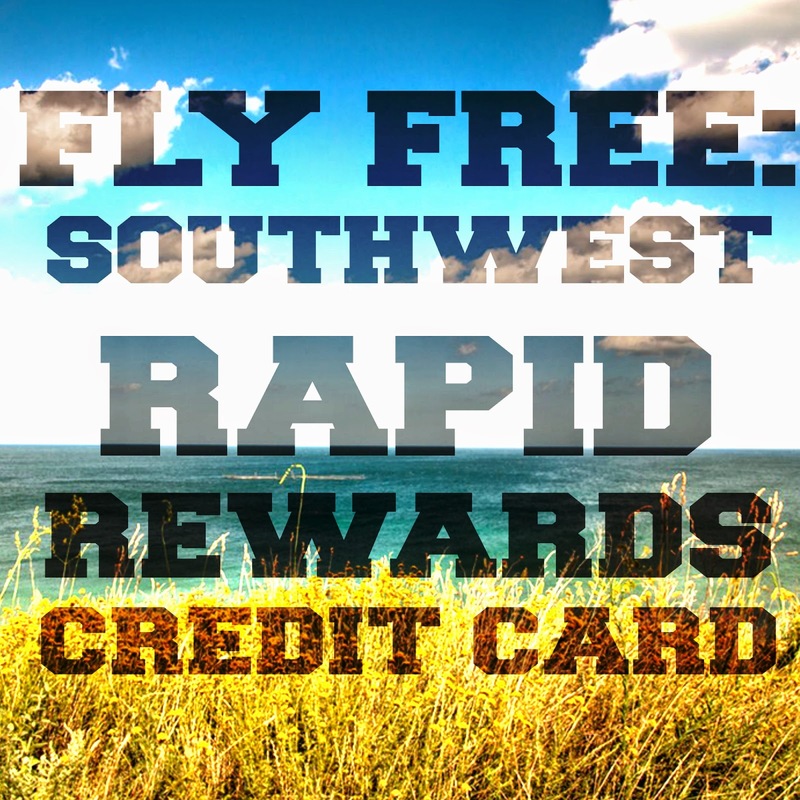 So today I'm featuring the Southwest Rapid Rewards Card- my favorite flight card. I'm not getting paid to advertise for them (though that would be nice), I just want to share my knowledge with others looking to travel cheap, or in this case, FREE. 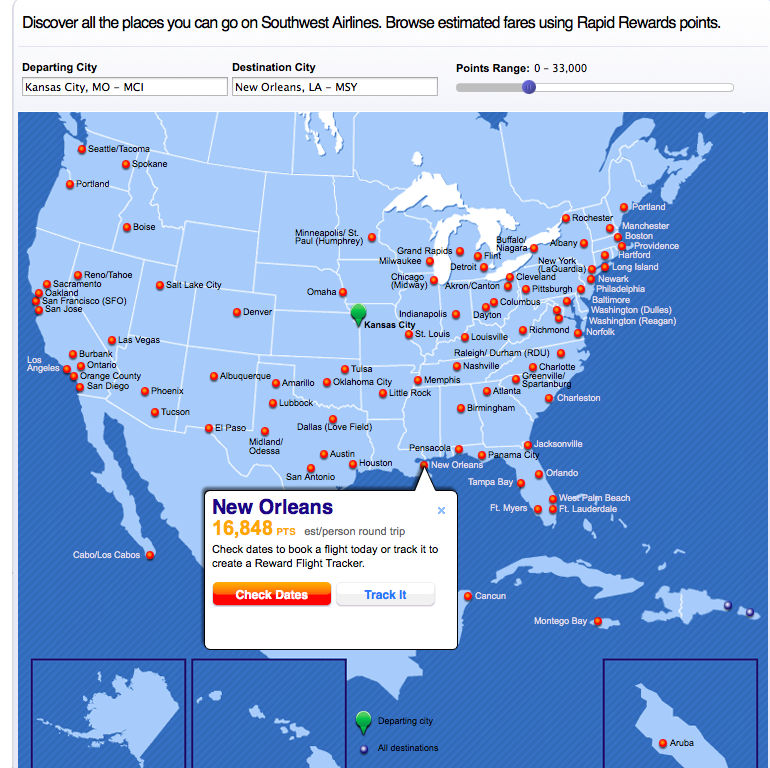 Southwest Airlines offers a great loyalty program called Rapid Rewards. You can sign up for free, and you don't have to get the card to start earning points on the flights you are paying for. But the real way to earn a lot of points in a hurry is to apply for the credit card. It's a simple application, but you want to make sure that you're applying when you can earn 50,000 points, not 25,000 points. We'll talk more about points in a second. You apply for the card. Once you receive it, you have to spend $2,000 on the card within the first three months of opening your account. Then the 50,000 points are yours. For most people, this can easily be reached within a month by just paying for gas, bills, groceries, and other necessities. If you're not big spenders, you can even purchase gift cards that you can use for a later date, or pre-pay your bills. 50,000 points can usually buy at least two roundtrip flights for two people, depending on where you choose to go and how many points the flights are. We BOTH flew to Cancun and back and Vegas and back for free, and we still have points left! (Yes, they fly internationally now!) Keep in mind, you will get the 50,000 points when you spend $2,000, PLUS 2,000+ points for the dollars you put on the card. 6,000 points will be credited to your account every year that you keep the card open. That's enough points to get from KC to Chicago and back if your dates are flexible. These 6,000 anniversary points make the $99 Annual Fee more than pay for itself. No foreign transaction fees, and NO blackout dates. I love this about the Southwest Card. You can find flights for much cheaper point rates than you would with any other flight loyalty program. All flights are available on all dates and time, though the cheapest point flights generally fill up the quickest. You can earn points with various programs, including Dining Rewards, Shopping Rewards, hotels, and other specials like TurboTax. You can also buy and share points as needed, with a small fee. Points don't expire, and two bags per person are always free! Enough said. You can cancel your flight up until 24 hours before with no fees. No questions asked! The flexible dates calendar shows you when points are cheapest. Make sure the fares are showing in points. This is super cool. There are two different Southwest cards you can get. If you get both cards and earn the 50,000 points on each card, then you will have 100,000 rewards points. If you can get to 110,000 points within a calendar year, then a companion of your choice will fly FREE for the rest of that year AND for the entire next year. So your points basically become double value because you are only having to use them for one person. You can do some major damage with 110,000 points and your companion flying free- you just have to make sure that all your points post in the same calendar year. And putting $10,000 worth of spending on your card in a year, which should be doable, especially if you're planning to make a big purchase. Or you can even transfer point over from another rewards program, which is what we did to get the pass for the rest of 2016 and all of 2017!! The Rewards Flight Tracker lets you see available flights from your home airport. It lets you search a range of available flights and check dates or track points for the best value. Southwest automatically assigns you a Rapid Rewards number when you get your card. 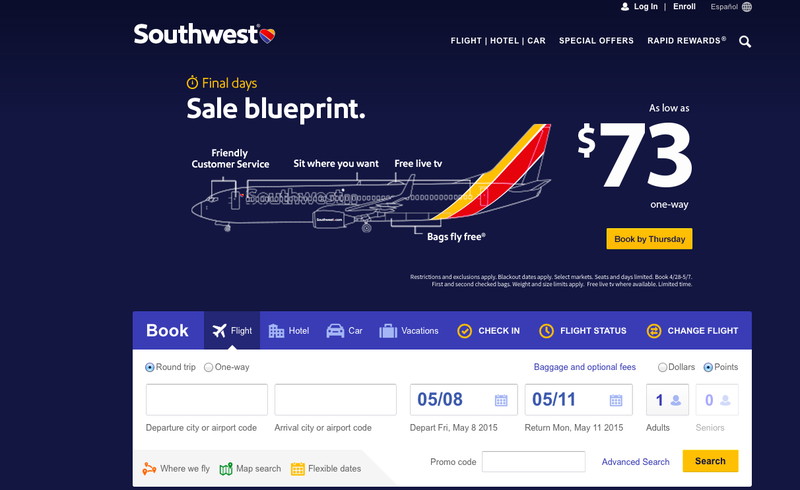 Their website, https://www.southwest.com, is incredibly easy to navigate. 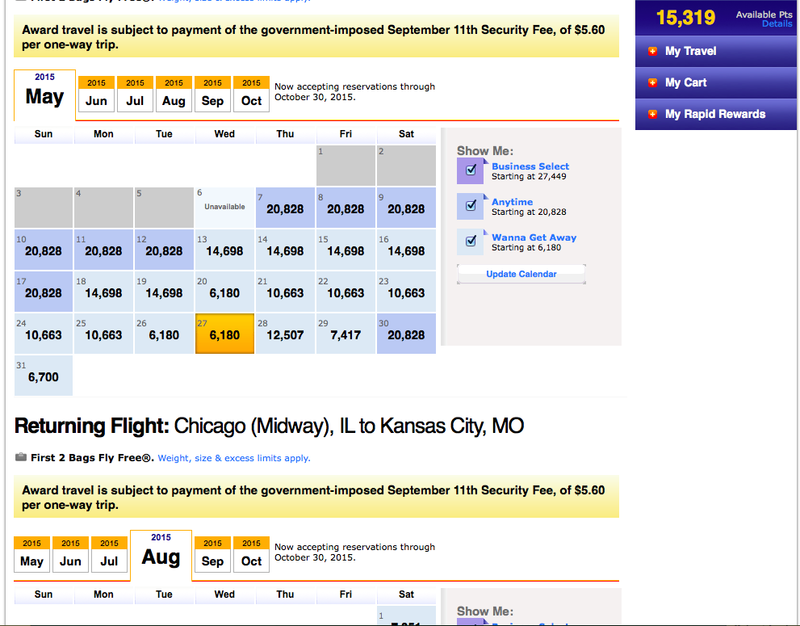 When you search for flights, just make sure you've clicked points and not dollars. From there you can look at the flexible date calendar for the best price. The only thing you're charged is the non-negotiable airline fee, which is usually around $5, or a little more for international fees (which happens no matter what airline you use). Ready to Get Started? Check out this link. Still have questions? I would love to tell you about our experiences or answer any questions you may have. Click here to contact me, or comment below. If you liked this post, and want to be updated when new tips or posts are shared, click here to sign up for our newsletter. This sounds like an amazing card to help make travelling more affordable! I will have to look into it and see if I can use/benefit from it in Canada. Thanks so much! Hope to party with you again next week at the Link-Up Party! It has been a lifesaver for my husband and me. You should definitely see if it can help you. I'm not sure they fly to Canada, but I do know that they go to the Niagara Falls/Northeast area, depending on where you are located. Thanks so much for the comment, and have a wonderful day! I just had a free Southwest flight to the beach. They're my favorite airline! I love, love, love Southwest. I fly them whenever I can. I actually interviewed with them in college for an internship but didn't get it. Wasn't meant to be :). I have several family members in the military and they can get called away at a moment's notice, so I am always changing my travel plans last minute. The flexibility of Southwest is lifesaver!!! I thought you had to pay for the card, so I haven't gotten it. I'll have to check it out! Brandon and I are planning a summer trip soon and this just came in SO handy! We actually have a Southwest card but I didn't realize all the benefits! This card has been great for me too! I actually think I'm going to cancel it this year since I signed up for the Chase Sapphire Preferred - the benefits include Southwest and also expand to other airlines which is great (even though SWA is my favorite)! Sounds like a great card with a lot of benefits! I think everyone needs a card with amazing benefits. What grade to you teach? I teach Kindergarten.